We've long been able to send audio from the source to a Bluetooth speaker, but getting that sound to multiple speakers was off the table until recently. That dream became a reality thanks to a range of apps like AmpMe, Bose Connect, and a few from Ultimate Ears, as well as Bluetooth 5, which allows you to send audio to two devices at once. With the proliferation of smart speakers, such as the Amazon Echo and Google Home, we have more Bluetooth devices in our home than ever. Here's how to stream audio to multiple Bluetooth speakers from your Android, Amazon Echo, or Google Home. There are few apps you can use to connect multiple Bluetooth devices including AmpMe, Bose Connect, and Ultimate Ears apps that have a PartyUp mode. AmpMe is the most versatile, as it's not brand-specific, while the Bose and Ultimate Ears apps require the respective company's Bluetooth speakers. AmpMe is an app that can sync up smartphones and Bluetooth speakers together to stream audio from SoundCloud, Spotify, YouTube, or your own media library. Users can create or join parties on any of these platforms, and sync up with unlimited devices. Your smartphone can only connect to one speaker, so you'll need participation from friends and family to make it work. The person who creates the party controls the music, but other users can send song requests via the app's chat feature. The host can also turn on the Guest as DJ feature which lets other participants add songs to the queue. After you download the app, you have to link it to either your Facebook or Google account, then you'll see if any of your contacts are on AmpMe, or you can turn on location services and find a party near you. Tap the Plus (+) in the bottom right. Select the service (Spotify, YouTube, etc. ), then tap connect. Log into your account and choose or create a playlist. You can invite people to your party who can join remotely, or you can invite them over. With Bose Connect and Ultimate Ears apps, you can pair a smartphone with two speakers each, but only on particular models. Bose Connect works with Bose speakers and headphones, and a Party Mode feature lets you stream audio to two headphones or two speakers at once. The app's Google Play and App Store pages list compatible devices. 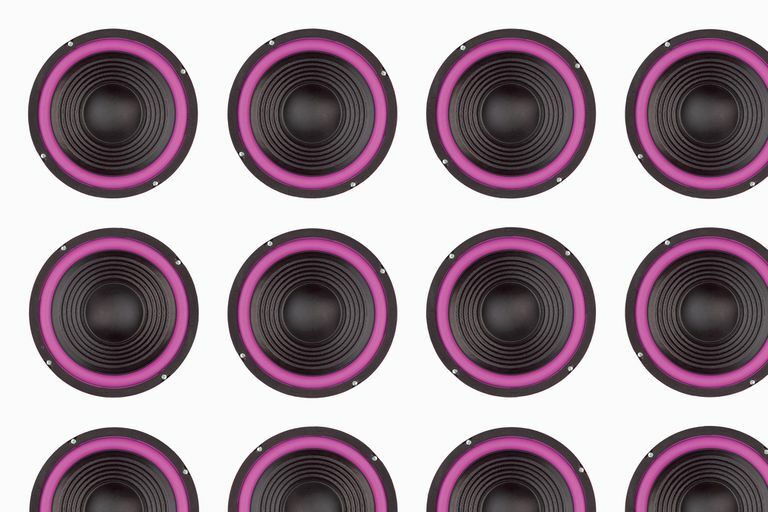 Ultimate Ears has two apps that can stream audio to multiple speakers: Boom and MegaBoom, which corresponds to two lines of compatible speakers. These apps have a feature called PartyUp that lets users connect over 50 Boom 2 or MegaBoom speakers together. If you have a Samsung Galaxy S8, S+, or newer model you can take advantage of the company's Bluetooth Dual Audio, which works with most Bluetooth speakers and headphones; Bluetooth 5 isn't required. Go to Settings > Connections > Bluetooth. In Android Pie, tap Advanced (like the image below). In earlier Android versions, tap the menu icon on the top right. Select Dual Audio and toggle the switch to on. To use Dual Audio, pair your phone with two speakers, two headphones, or one of each, and audio will stream to both. If you try to add a third, the first paired device will be booted off. If you link your Samsung with two sets of headphones, only the first connected device can manage playback using on-headphone media controls. You may also encounter Bluetooth speakers that are out of sync, so this feature is best for speakers located in separate rooms. Apple has a similar feature called HomePod Stereo Pair. In this case, iPhones running iOS 11.4 or later can pair two HomePod speakers together.